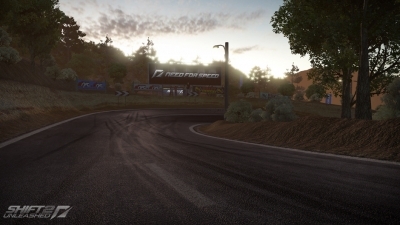 With its name being taken from the German word meaning ‘alpine valley’, expect to see plenty of lush greenery around the border of Alpental in SHIFT 2 UNLEASHED, but don’t stare at the scenery too long, or you’ll be skidding off the track, which was one of the most challenging to appear in Need for Speed SHIFT. Ambush Canyon is a tricky track with some sharp turns and an elevation change that will leave you guessing. Set in the scorching heat of the desert, beautiful scenery is secondary to the driving challenge here. Typically known just as ‘Bathurst’ because of its location in Australia, Mount Panorama has been the host of the Australian Grand Prix four times, with the first even happening as the track’s premiere event in 1938. 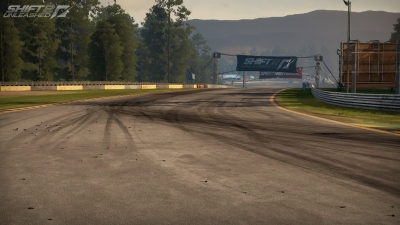 Over the years, Bathurst has seen 16 competitors die in crashes during its events, along with two spectators, making it among the most dangerous tracks in SHIFT 2 UNLEASHED. 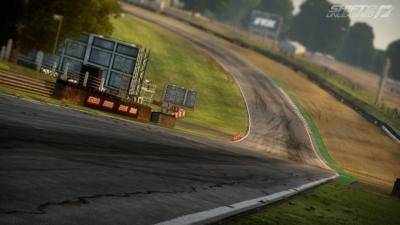 One of the most famous racetracks in the United Kingdom, Brands Hatch hosted 12 runnings of the Formula One British Grand Prix between 1964 and 1986 and currently features several different racing series, including the British Touring Car Championship and FIA Formula Two Championship. Located in the Czech Republic, Brno Circuit is a favorite of MotoGP motorcycle riders, because of its many twists and turns, creating exciting races. Currently, Brno is the location of the third and fourth legs of the FIA GT3 European Championship circuit. 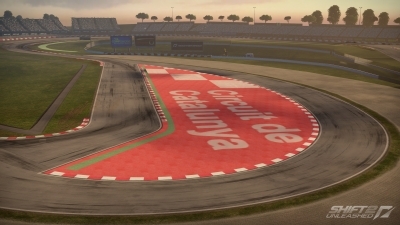 With three different configurations, Circuit de Catalunya is one of the most challenging tracks in SHIFT 2 UNLEASHED. The track has been home to the Formula One Spanish Grand Prix since opening in 1991, and during its inaugural event, one of racing's most epic duels between Nigel Mansell and Ayrton Senna took place, with both men heading down the entire front straight with the throttle pinned, side-by-side, with Mansell eventually holding Senna off to take the race. 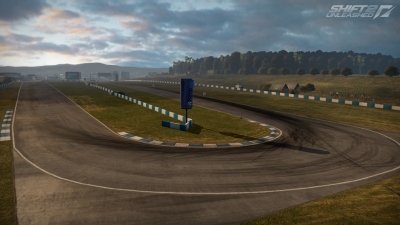 The closest thing to a NASCAR-style track you'll find in SHIFT 2 UNLEASHED, Dakota features three different layouts, with all providing long straights for passing, but on its Club configuration, watch out for a sudden change in elevation, which can doom the hopes of unprepared racers. 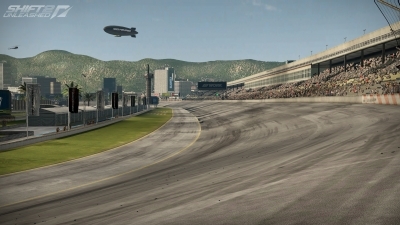 Located near Dijon, France, the Circuit de Dijon-Prenois is a track with a great deal of history in motor racing, having hosted the Formula One French Grand Prix five times between 1972 and 1984, as well as the Swiss Grand Prix in 1982. Since then, the track has played host to club-level events and motorcycle racing. Best known as the host of the 1993 Formula One European Grand Prix, Donington Park was the stage where driver Ayrton Senna took the race by more than one minute from second place Damon Hill, showing dominance rarely seen in racing today. Used as a venue for both motorcycle racing as well as cars, the Dubai Autodrome hosted its first event in 2004, which was the final round of the 2004 Formula Renault V6 Eurocup season. 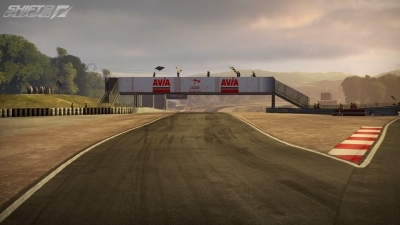 Currently, the Autodrome plays host to events in the GP2 Asia, A1GP and FIA GT Championship racing series. 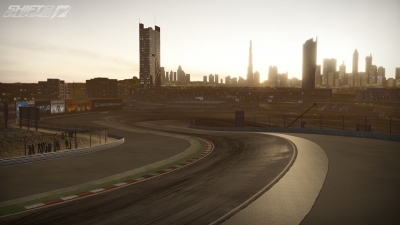 With a bustling city in the background, racing Dubai at night is one of the greatest experiences in SHIFT 2 UNLEASHED, check out how the city lights up after the sun goes down. 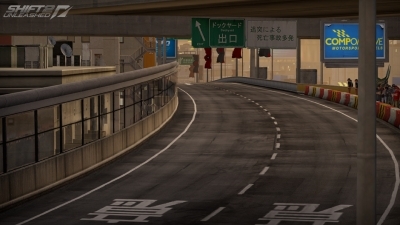 One of the top drift tracks on the planet, Ebisu was designed by legendary drifter Nobushige Kumakubo, and the track hosts a D1 Grand Prix event each year; however, it’s also a solid racetrack as well, with its super-tight turns making life hell for lead-footed racers. 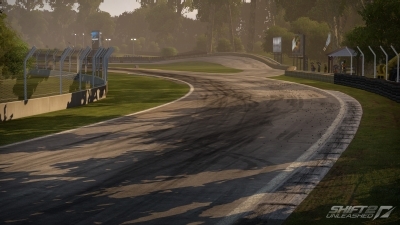 With 16 turns and a length around three miles, Autodromo di Pergusa, located in Italy, is unique in that it surrounds the only Sicilian natural lake, Pergusa Lake. Currently, the track hosts several events each year, including the World Superbike Championship. 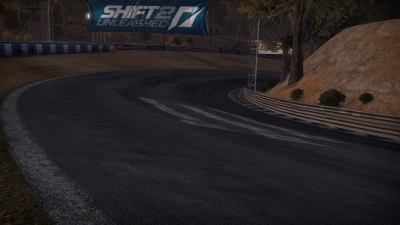 One of the most challenging tracks in SHIFT returns for a second tour in SHIFT 2 UNLEASHED. Glendale has three layouts, and careful but assertive driving is required on each of them to avoid falling behind the pack. 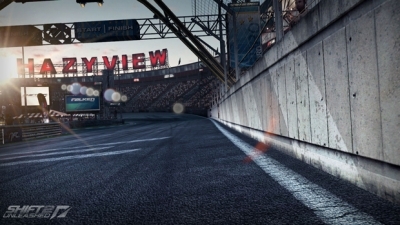 One of the shortest tracks in Need for Speed SHIFT is making a comeback in SHIFT 2 UNLEASHED: Hazyview. 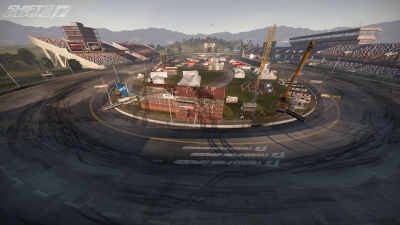 A favorite of online racers - especially in its 'Eight' configurations - Hazyview races can quickly turn into demolition derbies with one careless turn or passing maneuver. Re-designed for the 2002 German Grand Prix – which was won by Michael Schumacher – Hockenheimring was shortened considerably, from 4.2-miles to a mere 2.8-mile track. 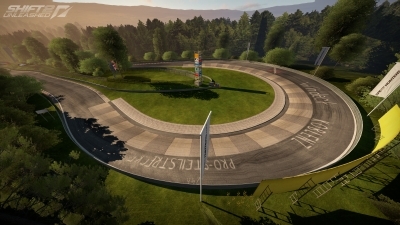 This configuration appears in SHIFT 2 Unleashed and features a much tighter Turn 1 – known as the Nordkurve – and the formerly long forest straights section replaced with more tight curves, which was highly controversial, but you’ll love bombing around this track in any car – Bavarian or not. Home of the final event of the 2010 Formula Drift season – called Title Fight – where Team Need for Speed collaborator Vaughn Gittin Jr. won his first Formula D championship, Irwindale Speedway is located outside Los Angeles and has been used for the NASCAR Toyota All-Star Showdown since 2003, and its 1/8 mile drag strip is a local favorite for hobbyists and John Force wannabes. 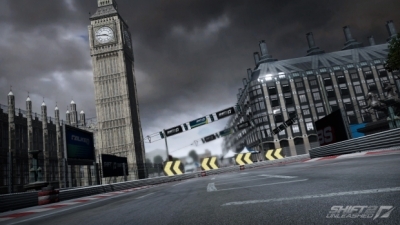 Being based out of London, the folks at Slightly Mad Studios – the studio behind the development of SHIFT and SHIFT 2 UNLEASHED – had a keen eye for putting local landmarks and racing history into its London city road course. With five different configurations, London will be calling you many times during your SHIFT 2 UNLEASHED career. A coastal city with a tropical climate, Miami is among the most picturesque locales in the United States. 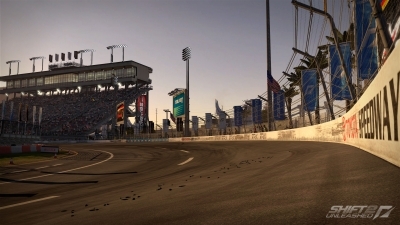 In SHIFT 2 UNLEASHED, the city has been turned into a racetrack surrounded by palm trees, high-rises, and construction cranes in the background. With five configurations, including a drift track, the city’s beauty is on full display during the races, so remember to keep your eyes on the road. 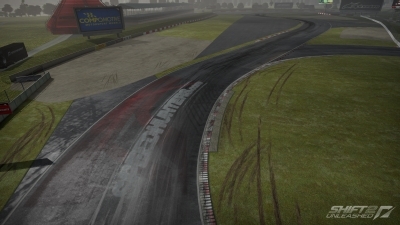 A short, oval-shaped track, Miyatomi is one of the simplest tracks in SHIFT 2 UNLEASHED, and at 1/4 mile in length, you don't have much time to catch up if you're behind, so floor it. 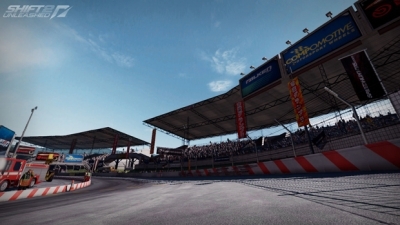 Autodromo Nazionale Monza's best configuration was easily its fastest, and in SHIFT 2 UNLEASHED, you'll get to race on the 1958 version of Italy's best-known Formula One track. 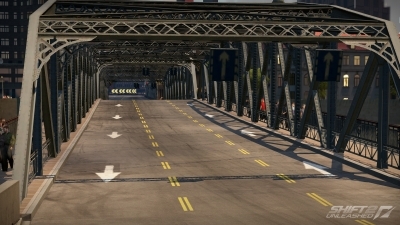 Be prepared to draft and be drafted by opponents going down this track's many fast straights. 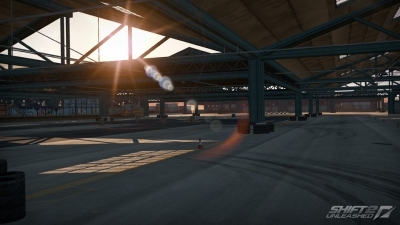 An open drift stage set in an industrial area, Nevada Drift is a great place to begin your mastery of the intricacies of drifting in SHIFT 2 UNLEASHED. 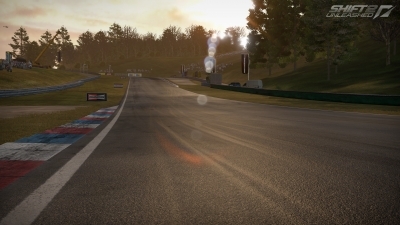 The gold standard of auto racing, the Nürburgring Nordschleife is the barometer by which all other tracks are measured. Despite being finished more than 80 years ago, car companies still use the Nordschleife as a proving ground for new performance models, using laps around "The Ring" – which is actually a public toll road with no speed limits rather than a fixed racetrack – as part of promotional materials. Currently, the fastest lap around Nordschleife by a street legal car is held by the Pagani Zonda R, which lapped The Ring in 6:47.50. 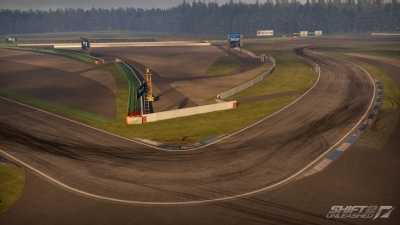 Located in Germany, Motorsport Arena Oschersleben is one of the most challenging tracks in SHIFT 2 UNLEASHED. 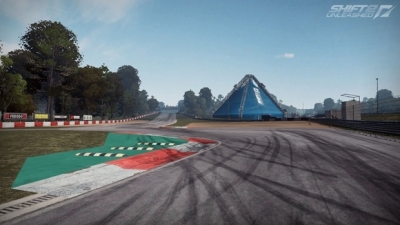 The challenge starts right away on this course, with its first turn being one of the sharpest in the game and could lead to major crashes and wrecked cars when you play your friends online, so corner carefully. 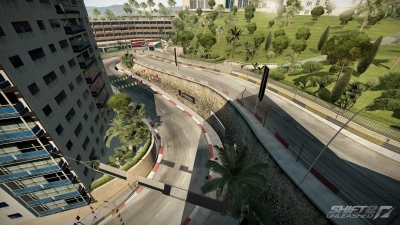 A track that was added to Need for Speed SHIFT as part of the Exotic Cars Pack DLC, Riviera uses a gorgeous Mediterranean city as its backdrop – see if you can guess which one – and is among the toughest tracks in SHIFT 2 UNLEASHED to master. One of the greatest victims of the demise of Champ Car/CART was the Andretti family, with father Mario and son Michael winning 63 races during their careers, with their favorite track being Road America. The Grand Prix of Road America was run between 1982 and 2007 with Andrettis taking the checkered flag six times, three for both father and son. Currently, Road America is home to the NASCAR Nationwide Series and American Le Mans Series, among several others. 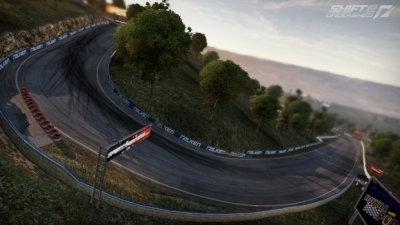 One of several tracks created by the folks at Slightly Mad Studios, Rustle Creek is a NASCAR-style oval with four turns and plenty of opportunities to bury the needle. Calling itself the "Home of British Motor Racing", Silverstone Circuit is one of the busiest tracks in the UK and has been the exclusive host of the Formula One British Grand Prix since 1987, with Donington Park set to take over for 2010. 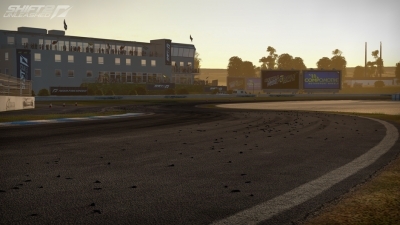 Silverstone is five kilometers in length and twisty, with 17 total turns. The current lap record is still held by retired F-1 driver Michael Schumacher, who ran a lap of the track in one minute, 18 seconds back in 2004. The most populous city in China and one of the world's fastest-growing economic centers, Shanghai is one of two new street courses available in SHIFT 2 UNLEASHED. 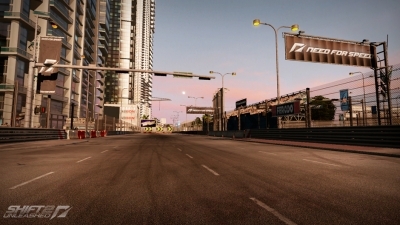 With three different layouts, the city - complete with high-rises and local landmarks - is on full display for your racing pleasure, so what are you waiting for? 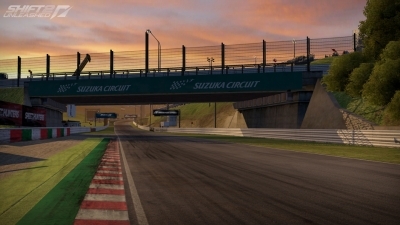 The Suzuka International Racing Course, or Suzuka Circuit for short, is owned by Honda and played host to the Formula One Japanese Grand Prix for the final time in 2010, after hosting the event nearly every year since 1987, with German racer Sebastian Vettel taking the final checkered flag. Closing off a large portion of the city of Tokyo would be a gargantuan task for most civil engineers, but who needs engineers when we have Slightly Mad Studios – aside from theirs, of course – to turn Tokyo into a racetrack. 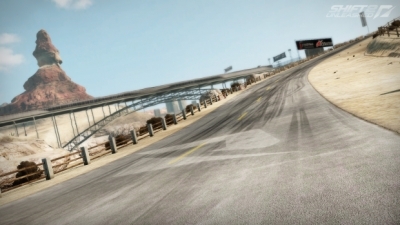 One of the few racetracks in the world to be granted a point of historical significance - bestowed by the State of California to Willow Springs in 1996 - one of the toughest tracks in Need for Speed SHIFT is making a comeback in SHIFT 2 UNLEASHED, and with its two configurations, Willow Springs is promising to be as tough as ever, so be prepared. 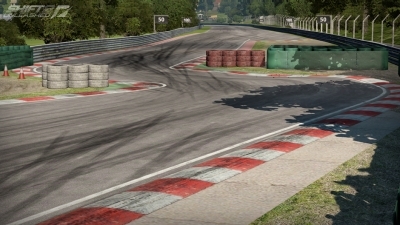 One of two Belgium-based tracks - the other being Spa - in SHIFT 2 UNLEASHED, Circuit Zolder hosted the Formula One Belgian Grand Prix 10 times in the 1970s and 1980s, but is unfortunately best remembered as the place where Canadian F-1 driver Gilles Villeneuve was killed in a horrific crash during qualifying for the 1982 Grand Prix. 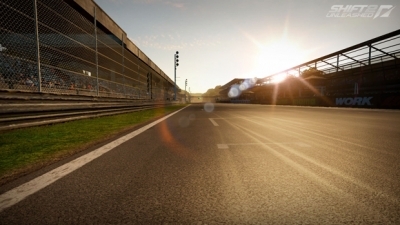 Today, several different racing circuits race on Zolder, and in 2010 it was the site of Team Need for Speed's first GT3 victory.